The Celtic Shores Coastal Trail is a shared use trail that is operational year round. Please use the trail responsibly. 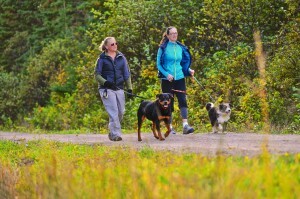 Expect to see the following users on the trail: cyclists, hikers, walkers, equestrians and summer motorized. In winter you will find people snowshoeing cross country skiing, hiking, and snowmobiling.